24-1/4 miles high- great altitude to jump! That is quite a first step! 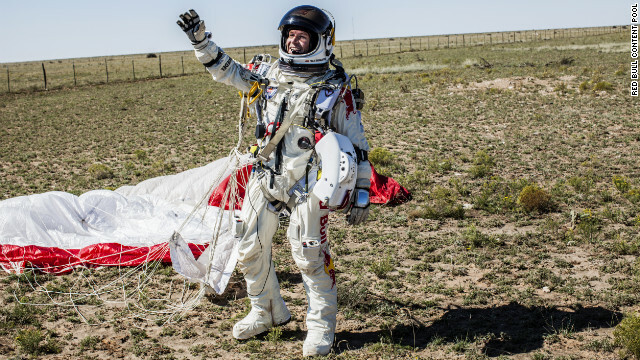 Sunday, Austrian Felix Baumgartner rode a balloon to the edge of space, stepped off his balloon- borne capsule into a 128,100 feet, 830 mph, 4 minute, supersonic free fall. It was the highest jump ever recorded, and at Mach 1.24, the fastest descent. Pressure– without the pressure suit, his blood would have vaporized. This is just one example of the existential joys of engineering. To those who dream, who know, who engineer, who dare, to these is Victory. This is how science drives human progress. 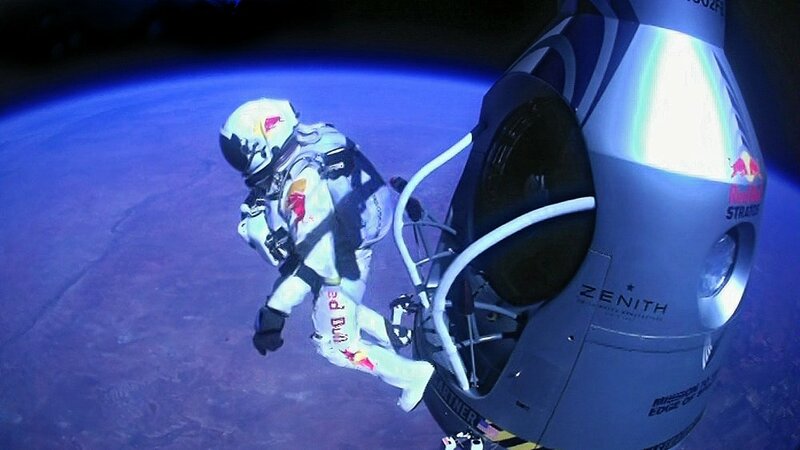 In the future, astronauts will be better protected due to the lessons learned from Baumgartner’s Jump. Congratulations to the Team at Red Bull! You built that! With the help of a lot of skilled engineers, technicians and manufacturing talent. 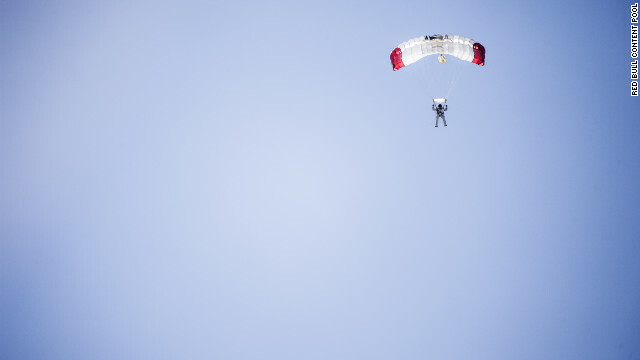 We wrote about the Red Bull Stratos Project’s preliminary test flight earlier this year here. This entry was posted on Monday, October 15th, 2012 at 10:38 am and is filed under Break Room. You can follow any responses to this entry through the RSS 2.0 feed. You can leave a response, or trackback from your own site.